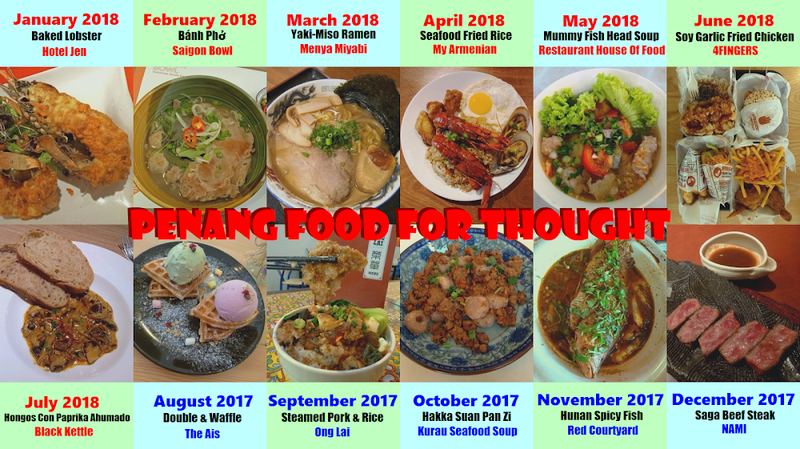 Flamingo Hotel By The Beach, Penang is debuting an all-new Penang Lang Porridge Fest today. 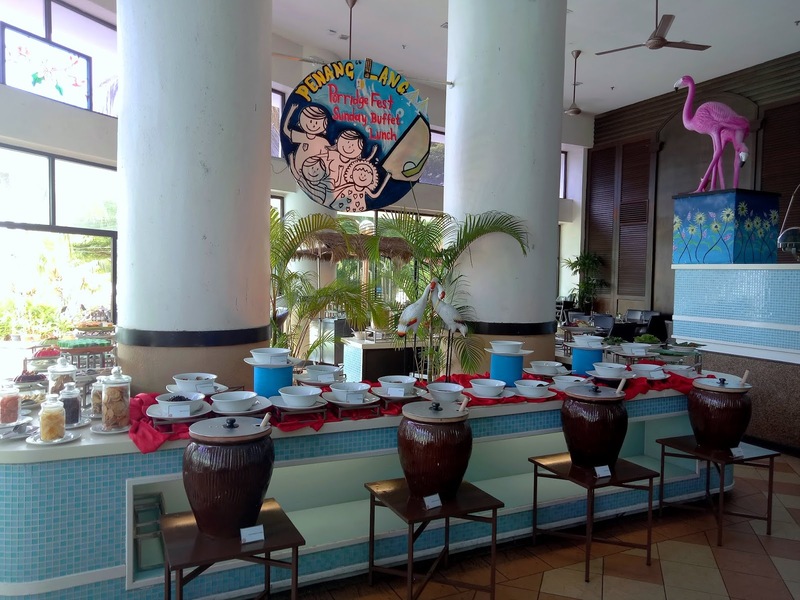 Held at Flamingo Café, the meal is served in a buffet setting. 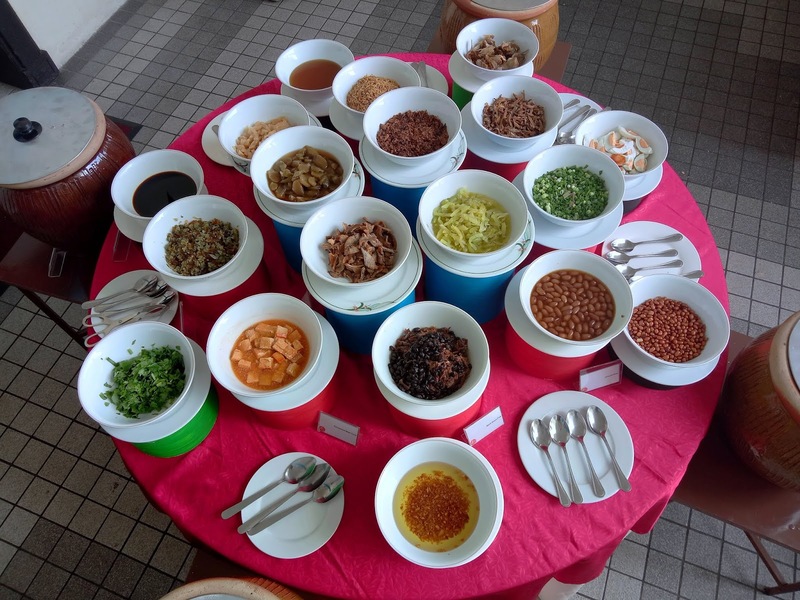 Although the main emphasis is on rice porridges, the menu also covers à la minute action stalls, cooked dishes, snacks and desserts. An important aspect of congee is the variety of condiments. Flamingo Café provides nearly 20 types! Popular ingredients are anchovies, silver fish, salted fish, fermented bean curd, salted eggs and century eggs. In addition, douchi (fermented black soybeans), pickled lettuce, preserved radish and braised peanuts add flavor in different directions. Roasted peanuts, fried shallots, scallions, sesame oil, garlic oil and soy sauce are essential too. Meanwhile, the rice porridges themselves are served in large pots. 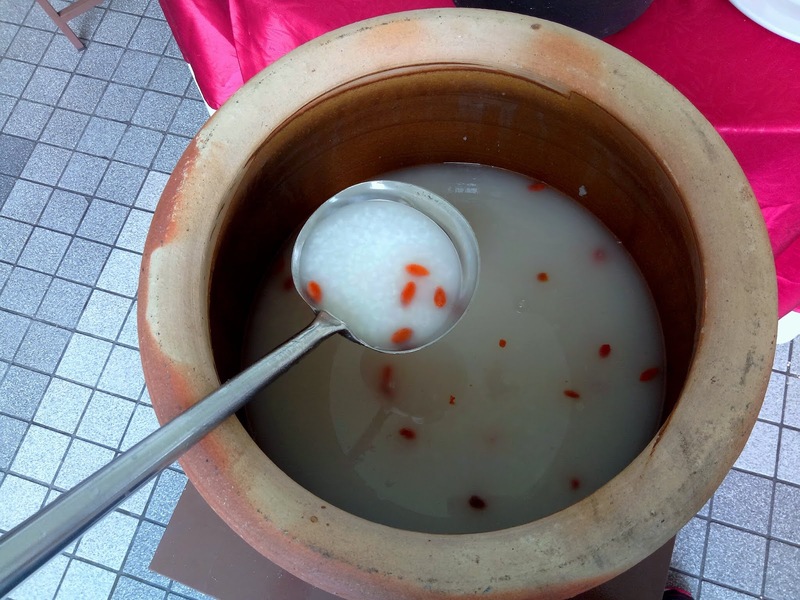 4 types are available: Plain Porridge, Chicken Porridge, Sweet Potatoes Porridge and Goji Berries Porridge. I think the sweet potato version is my personal favorite. The buffet also includes several action stalls outside Flamingo Ballroom. Be sure to sample the Ayam Golek. 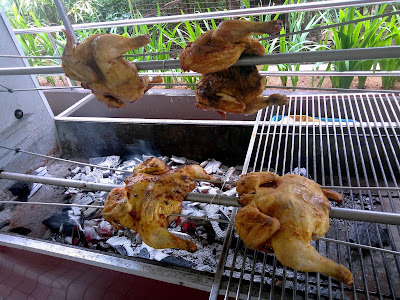 The chicken is marinated thoroughly and then roasted over burning charcoal. Condiments are provided but I think the rotisserie chicken is already tasty on its own. 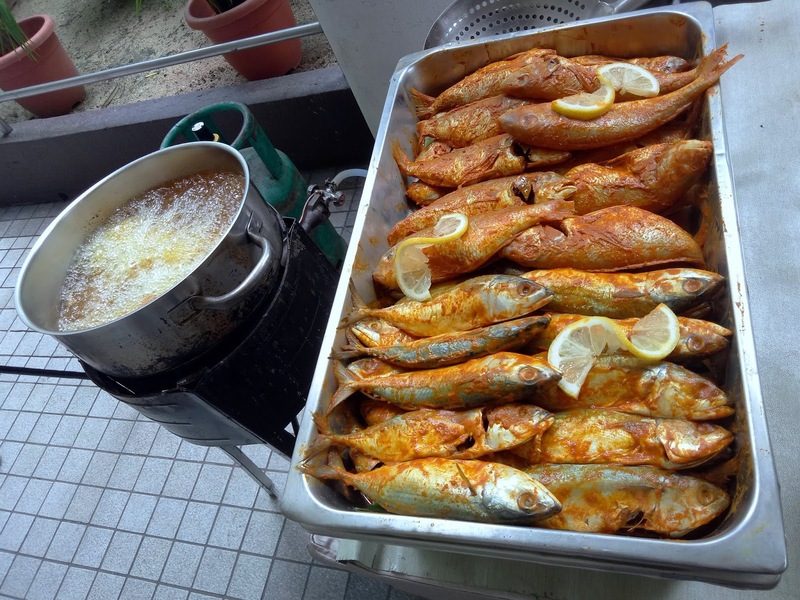 There is another stall which serves deep-fried mackerel. For diners who enjoy vegetables, another stall cooks stir-fried cabbage, French beans and Chinese kale. 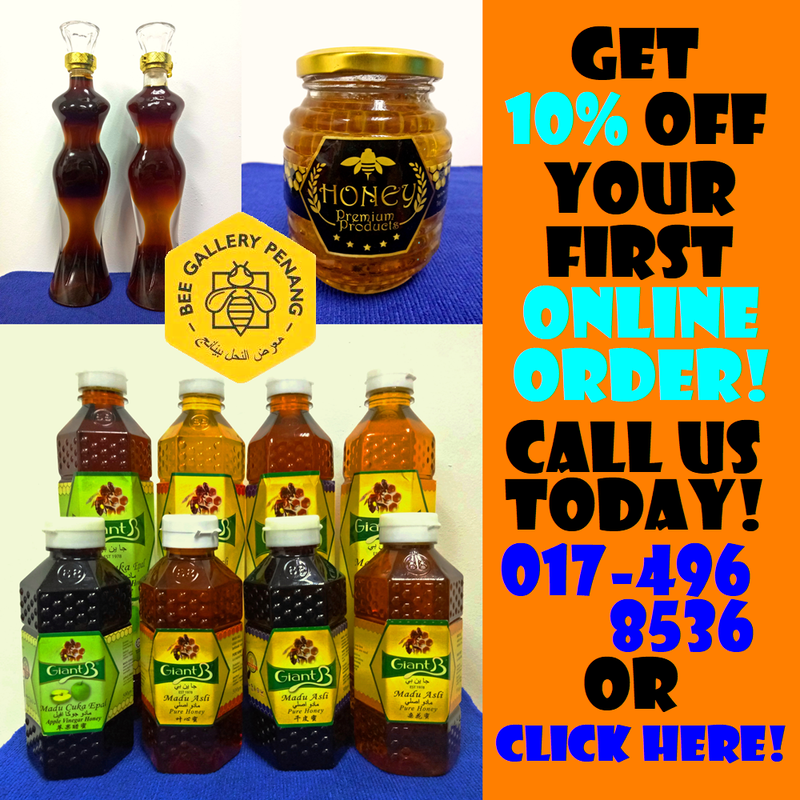 Other popular food choices are Mee Rebus, Roti Canai, Roti Tisu, Murtabak, Chinese Herbal Soup and Hot Soya Bean Milk. While waiting for food to be cooked at à la minute stalls, help yourself with cooked dishes at the buffet line. 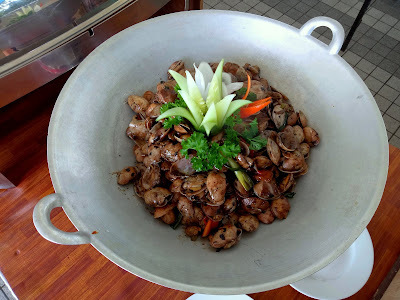 Seafood lovers may want to try the Clams Cooked With Preserved Beans & Ginger. I enjoy the tantalizing spiciness that this dish imparts to the tongue. The Dried Style Curry Chicken is also presented in a large wok. 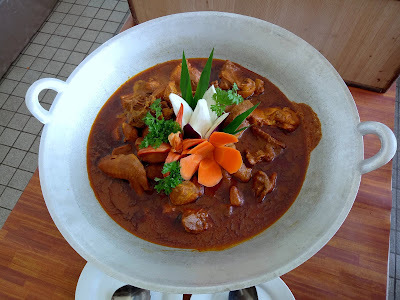 The gravy has extremely rich taste as it is saturated with coconut milk. 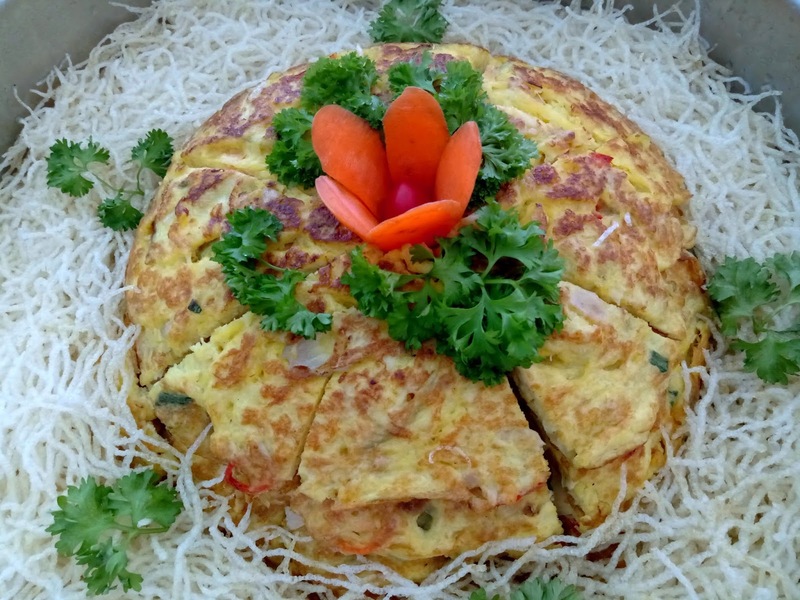 Stir Fried Golden Chai Por Eggs is enjoyable despite its simplicity. Sometimes, even the simplest dishes can delight the palate. 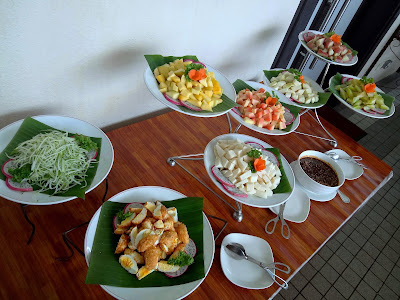 Since rice is the staple crop of Malaysia, rice dishes are essential in any buffet menu. 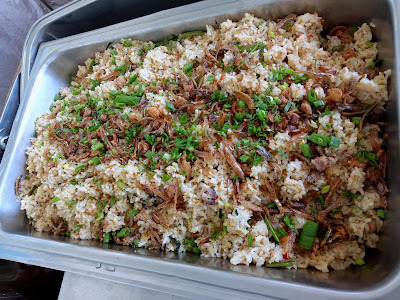 Today's rice dish is Village-Style Seafood Fried Rice. Although the rice is mild in terms of taste, it nicely complements with the saltiness of fried anchovies. 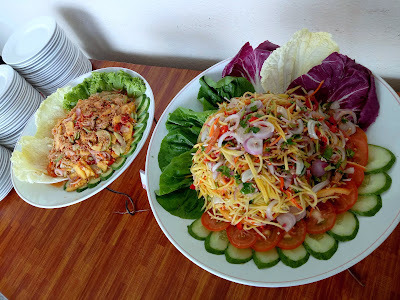 Malay salads include Kerabu Mangga and Acar Timun Nenas. Children will also enjoy deep-fried snacks like pandan chicken, oyster rolls and century egg rolls. Pasembur and Rojak are popular street foods here in Penang. The former is dressed with sweet-and-spicy peanut sauce, while the latter uses a thick sauce that is based on belacan (shrimp paste). 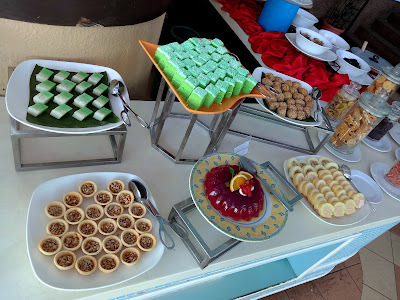 The desserts section gives a good combination of local Malaysian kuih and Western pastries. There are also several types of puddings and fruit jellies. Meanwhile, warm soupy desserts include Bubur Pulut Hitam, Bubur Kacang Hijau and Bubur Gandum. 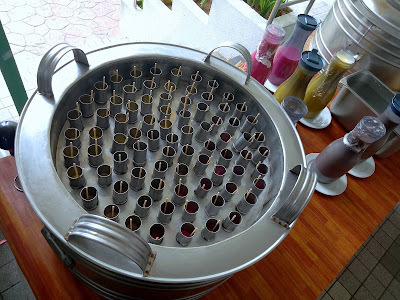 Ais Kerim Goyang is prepared in a specially-made machine. Each cylindrical mold is filled with flavored syrup and a skewer. Since the bottom compartment is filled with ice, the syrup becomes frozen after some time. The machine is shaken back and forth in order to speed up the freezing process, hence the name "goyang" (shaking). Once frozen, the popsicles are removed from the molds and served immediately. 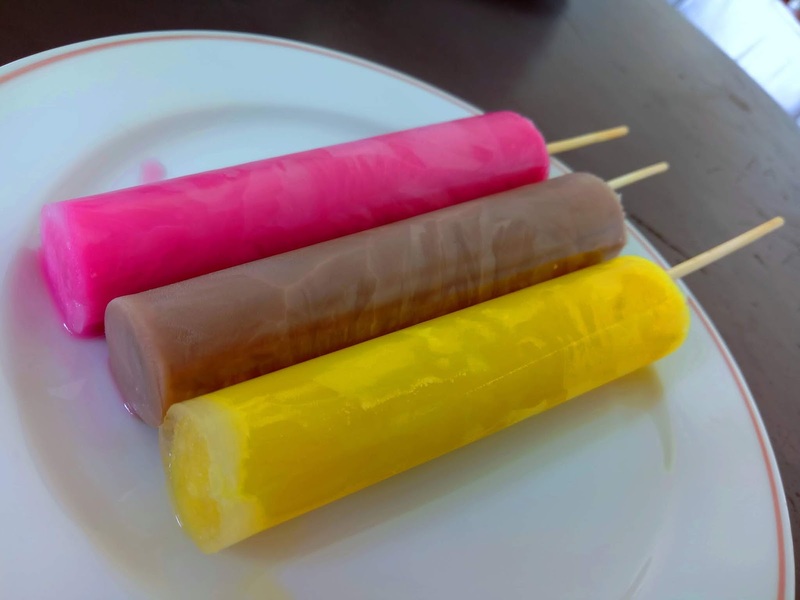 There are three flavors: corn, sirap bandung and Milo. My personal favorite is the corn version. 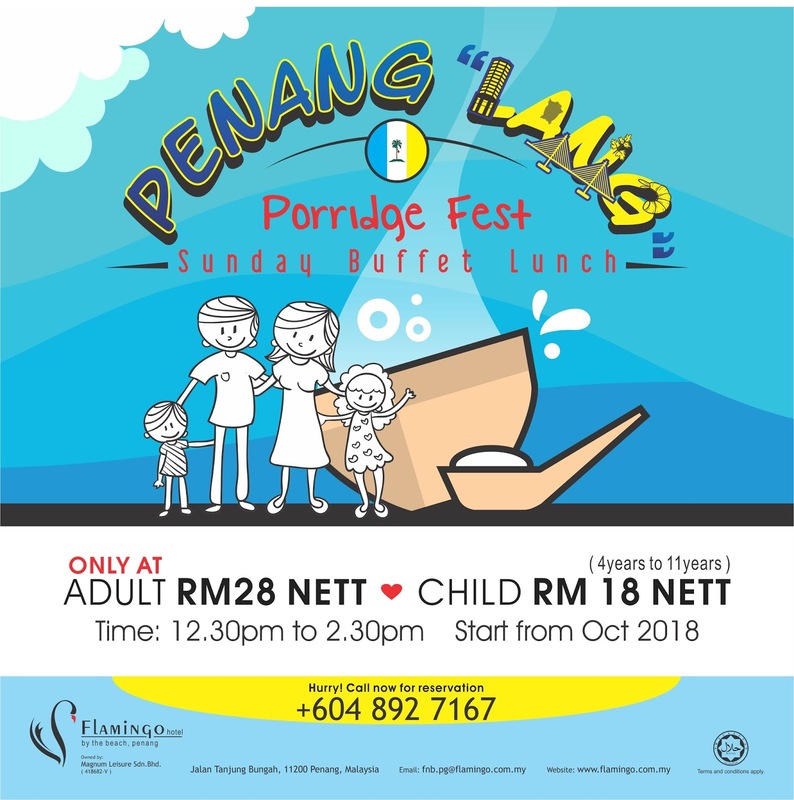 The Penang Lang Porridge Fest is served every Sunday from 12:30pm to 2:30pm. 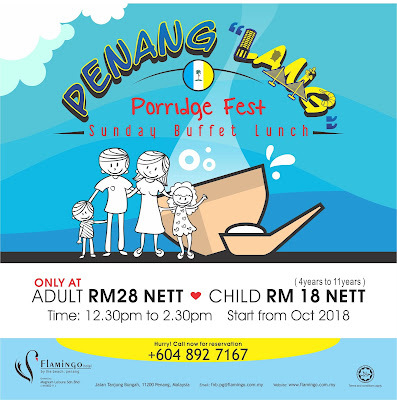 The price is RM28.00 net for adults, and RM18.00 net for children (4-11 years), making this promotion among the cheapest buffets in Penang. Due to overwhelming response, prior reservation is highly recommended. 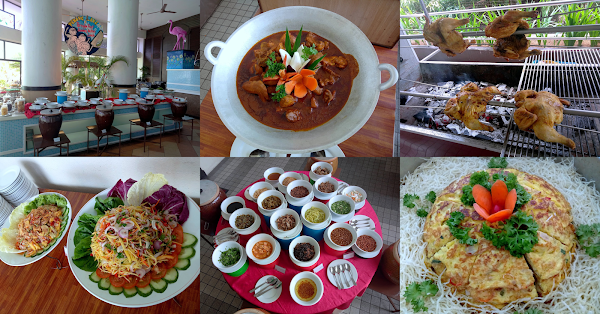 Meanwhile on Saturdays, Flamingo Café serves High Tea Buffet and Flavours Of Meat & Seafood BBQ in the evening.